Audit company, KPMG has given a clean chit to the Kanorias of Srei group in the alleged financial irregularities in tower company Viom Networks. A former company secretary had alleged that the Kanorias had diverted funds to the tune of Rs. 300 crore to some private institutions from Viom, a venture between Tata Teleservices and Srei Group enterprise Quippo. The company then appointed KPMG to assess the extent of graft, if any. At a meeting last week, the top management and board members, including those from the Tatas, told this to employees. Viom Networks declined to comment. In 2009, the tower businesses of Tata Teleservices and Quippo were merged to form Tata Quippo, now named as Viom Networks, in which the Tatas have a 51 per cent stake and the Srei group owns 18 per cent. But it is managed by the Kanorias of Srei. The company secretary was fired on July 25, following which he made the allegations. 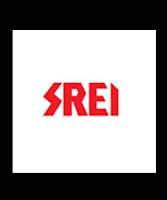 Hemant Kanoria, managing director of the Srei group, had earlier said since the company had a whistle-blower policy and shareholders maintained higher standards of corporate governance, it was decided to appoint an independent auditor for a probe.